Lok Sabha Elections 2019 HIGHLIGHTS: Polling for the second phase of Lok Sabha elections in East Tripura (ST reserved) constituency has been deferred from April 18 to April 23 on security grounds, Tripura Chief Electoral Officer (CEO) Sriram Taranikanti stated Tuesday. The Election Commission also urged the authorities to improve the law and order situation in the state. A notification from the Election Commission of India said reports received from Tripura CEO and Special Police Observer indicated law and order situation prevailing in East Tripura Parliamentary constituency is “not conducive” to hold free and fair poll in the constituency on April 18. Lok Sabha Elections 2019: Polling for the second phase of Lok Sabha elections in East Tripura (ST reserved) constituency has been deferred from April 18 to April 23 on security grounds, Tripura Chief Electoral Officer (CEO) Sriram Taranikanti stated Tuesday. The Election Commission also urged the authorities to improve the law and order situation in the state. Speaking to reporters in a late-night briefing, CEO Taranikanti said the Election Commission has deferred polling at East Tripura constituency in the second phase of Lok Sabha elections on security grounds. The voting would now be held on April 23, and the state electoral authority has been instructed to ensure proper security conditions to build confidence among the voters. “Everyone saw what happened during polling on April 11. I have travelled different districts. I have seen videos where activities were seen which were against the rules of Election Commission of India. We have forwarded those details to the Election Commission as well. We hope to develop law and order situation conducive for holding the elections April 23,” the CEO added. The notification informed that Special Police Observer from Tripura has recommended deferring the poll which was earlier scheduled to be helfd on the April 18. An hour after the Election Commission of India deferred Lok Sabha polls at East Tripura seat to April 23 citing security reasons, a late night order from the Election Commission on Tuesday transferred Additional Director General (Law & Order) of Tripura Police Rajiv Singh due to incidents of law and failure under his command which were reported to the Commission in the run-up to Lok Sabha elections in Tripura. Polling for the second phase of Lok Sabha elections in East Tripura (ST reserved) constituency has been deferred from April 18 to April 23 on security grounds, Tripura Chief Electoral Officer (CEO) Sriram Taranikanti stated Tuesday. The Election Commission also urged the authorities to improve the law and order situation in the state. The election for the Moradabad Lok Sabha seat will be difficult but the BJP will win the contest, says the BJP's candidate Kunwar Sarvesh Kumar. Kumar, a Thakur and five-time MLA from Moradabad, is pitted against Congress' Imran Pratapgarhi, a poet who has often questioned the BJP government through his provocative compositions and fiery speeches. Though Kumar, a political strongman, is well-known in the area, he is unsure about his re-election. 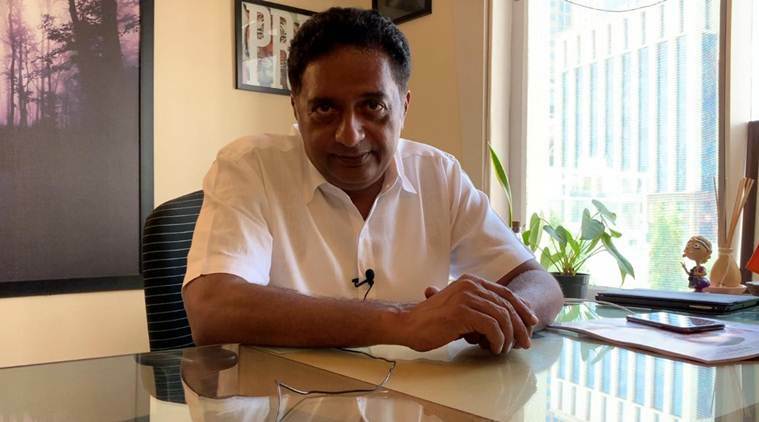 "The election is going to be difficult," Kumar told PTI on the phone as he is busy campaigning in interior areas of the constituency. "The fragmentation of Muslim votes has not happened. The election has become Congress versus BJP," he added, saying that his party would win with a better margin. Former Delhi BJP chief Satish Upadhyay claimed Tuesday that despite the bickering between the Aam Aadmi Party and the Congress, the two parties will form an alliance for Lok Sabha polls in the national capital. Former Tripura chief minister and CPI (M) politburo member Manik Sarkar Tuesday urged voters to avenge an alleged poll-rigging held in West Tripura Lok Sabha seat during polling hours on April 11 while voting at East Tripura constituency on Thursday. He also asked them to stand firm against any attack. “Avenge what was done on poll day in West Tripura seat. Don’t look out for police personnel. If attackers come in front of you, look them in the eyes. They will not find space to run away. Stand firm and stand determined. All voters are preparing themselves in this way in all booth areas (in East Tripura constituency),” Sarkar said at the sit-in-demonstration while reiterating the appeal to resist attacks. With the BJP led NDA trying to turn the Sabarimala issue into a major poll plank, Congress chief Rahul Gandhi Tuesday said his party believes in allowing people to express their faith and sentiments and never stop them from "genuinely" expressing their belief. Addressing a massive poll rally in Pathanamthitta, where the famed Sabarimala Lord Ayyappa temple is located, Gandhi said his party wants an India "where people can express what is there inside their heart as long as those expressions are peaceful and non-violent". However, he was cautious not to mention the name of Lord Ayyappa or the recent agitations witnessed by the state against the entry of young women there. "But the Congress will never take an action that stop people from genuinely expressing their faith," he said, addin that he leaves the matter to the "wisdom of the people of th state." Prime Minister Narendra Modi is conducting a roadshow in Bhubaneswar, Odisha. BJP president Amit Shah is also addressing a public rally in Thrissur, Kerala. Accusing Congress leader Navjot Singh Sidhu of inciting Muslims against BJP in Bihar, Union minister Ravi Shankar Prasad said, "Yesterday Priyanka (Gandhi Vadra) ji was giving her mandate on nationalism, I think she has forgotten her party's legacy. Today a Congress leader (Navjot Singh Sidhu) talks about 64 per cent minority, what kind of a mandate is this and how is it making the nation strong." He further said that the politics of division is in the DNA of the Congress. "This is not a new tradition. When sloganeering over the country's division was going on in JNU, Rahul Gandhi went there to support them. Today a voice is rising from Kashmir saying that whenever we wish we can divide India. What is the mentality of this tukde tukde gang, Priyanka ji needs to understand this legacy," Prasad said. Ferdous Ahmed, who recently stirred a controversy by campaigning for Trinamool Congress in the ongoing Lok Sabha elections, is a Bangladeshi actor and model who has acted in over 200 films in the Bangladeshi and West Bengal cinema. Shatrughan Sinha's wife Poonam Sinha Tuesday joined the Samajwadi party. She met with SP leader Dimple Yadav in Lucknow and formally joined the party. She is pitted against Union minister Rajnath Singh who today filed his nomination papers from Lucknow. PM Modi in Bhatapara: The naamdars are enjoying today by doing corruption over the land which was given to them for printing newspaper after independence. Not only this, they also take commission in the country security and protection. PM Modi in Bhatapara: The Congress calls the honest taxpayers of the country greedy and selfish, but its own 'naamdars' have cases running against them for tax fraud worth crores. PM Modi in Bhatapara: Today the naamdar said abuses to Modi, tomorrow it can give to the adivasis and to someone else the day after. They make fun of our traditional adivasi attire. Whoever will challenge their family, their legacy, they will abuse them like this only. PM Modi in Bhatapara: There is a BJP wave in the whole country which has made the Congress and 'mahamilavatis' sleepless. In their desperation, they are abusing me and insulting me and you too are witness to that. Prime Minister Narendra Modi is addressing an election rally at Bhatapara in Chhattisgarh. He earlier addressed public rallies at Korba in Chhattisgarh and Samabalpur in Odisha. YSR Congress chief YS Jagan Mohan Reddy Tuesday accused Andhra Pradesh Chief Minister N Chandrababu Naidu of "misusing" his office and sought the Governor's intervention to stop the "growing attacks" on his party cadre, "misuse" of state funds and to protect EVMs. "We have lodged a complaint with Governor ESL Narasimhan that Chandrababu Naidu, who has appointed his own henchmen in crucial places to help TDP in all ways during the elections and post-poll violence and sought his intervention to put the issue under check," PTI quoted Reddy as saying. "There are many instances of violence which is still unabated and attacks on YSRCP cadre are on the rise as Chandrababu Naidu has given out-of-turn promotions belonging to his community to target the Opposition Party and its sympathisers," he said. Union Home Minister Rajnath Singh Tuesday filed his nomination from the Lucknow constituency for the Lok Sabha elections. Singh led a roadshow on his way to file the nomination papers. He is seeking a second term from the same constituency. Stills from BJP president Amit Shah's roadshow in Tumakuru, Karnataka. PM Modi said, "There is a conspiracy to push the state again in a dreadful phase of violence," adding that you need to be cautious of those supporting Naxalites and Maoists. The Prime Minister said that incidents were happening in the state because of encouragement to naxals by the Congress. The Prime Minister took a dig at the Congress and said that the party has been disconnected from the land that it does not understand the needs and sentiments of the people. He further said that the Congress has decades of experience in betraying people and deceiving them. PM Modi addresses a public meeting in Chhattisgarh. PM Modi is addressing a public meeting in Korba, Chhattisgarh. BJP delegation comprising senior leader Mukhtar Abbas Naqvi and Jagat Prakash Nadda will approach the Election Commission later today against the ban on UP CM Yogi Adityanath who has been barred from election campaigning for 72 hours. Union Home Minister Rajnath Singh files his nomination from Lucknow for upcoming Lok Sabha elections 2019. BJP President Amit Shah in Davanagere, Karnataka: JD(S) got the least number of seats in the recently held state Assembly elections, BJP got the most number of seats but the 'mahamilawat' made that person the CM whose party got the least number of seats. "Congress-led UPA govt gave only Rs 88,583 crore to Karnataka under the 13th Finance Commission. However, BJP led NDA govt allocated Rs 3.88 lakh crore under the 14th Finance Commission. For Congress, the development of Karnataka isn't important. In fact, Karnataka is an ATM of corruption for them," Amit Shah said. Slamming the BJD government over mining and chitfund scams, the prime minister said the Naveen Patnaik-led party is only worried about personal gains. "How can they (BJD) think of common people when all they do is protect those involved in chitfund and mining scams. It is the Modi government that amended decades-old mining law and ensured that a part of the fund from the resources extracted is utilized for the development of local infrastructure," he claimed. Prime Minister Narendra Modi in Sambalpur, Odisha: For 20 years you trusted Odisha's govt blindly but now the people of the state want change. Once we come to power in the state we will implement Ayushman Bharat Yojana. Gandhi assured the cashew farmers in the state that his party if voted to power, will to take up their cause. "We will start a conversation to help make cashew growing a viable alternative", he said adding that it was an "honour" for him to fight elections from kerala. Rahul Gandhi arrived here last night on a two-day visit to Kerala. Besides Kollam, he would address rallies in three more districts. Gandhi, who is contesting from Wayanad district as a second constituency besides the Congress stronghold of Amethi, will be addressing meetings in his constituency on Wednesday. Hitting at the Sangh forces, the AICC chief alleged the country is now under attack from the BJP-RSS and there was an ideological fight going on between the BJP on one side and Congress on the other. "No matter how many times you (BJP/RSS) attack us, we will use love and non-violence to convince you are wrong," he said. "In the last five years, our Prime Minister promised several things. Two crore job opportunities.. Rs 15 lakh deposits in bank accounts and price support for farmers," he said. Gandhi asked the people how many of them had received the money in their bank account promised by the Prime Minister. Coming down heavily on Prime Minister Narendra Modi, Congress chief Rahul Gandhi Tuesday said he has "failed" to fulfil the promises made during the last five years. "The promises Modi has given to you, he has not fulfilled. but Anil Ambani gets Rs 30,000 crore in Rafale deal. "The Prime Minister is speaking of nationalism and he gave the biggest defence deal to a person who has not made a single aircraft," Gandhi charged. The Congress President was addressing an election rally at the St Stephen college grounds here in Kollam district. PM Modi also said, "Congress and 'Mahamilawati" group desperate to oust chowkidar because of BJP onslaught on corruption." "A 'jal shakti' ministry to be formed by the new BJP government, ending the water crisis in the country," Modi added. PM Modi said, "We amended decade-old mining law and ensured that a part of the fund from the resources extracted is utilized for the development of local infrastructure." "The central govt procure rice at Rs 19-30/kg and send it to Odisha. Odisha govt has to add only Rs 2/kg to it. However, they claim that they provide rice at a subsidised rate to the people of Odisha. It's an utter lie," he added. 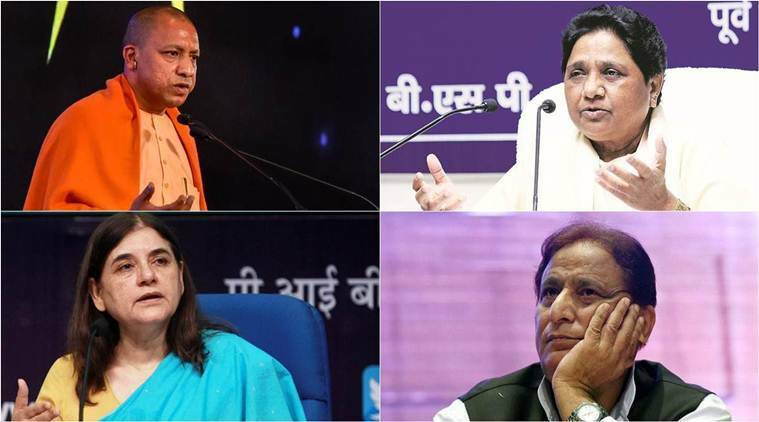 Lok Sabha Elections 2019 LIVE updates: EC invoked temporary ban on Yogi Adityanath, Mayawati, Maneka Gandhi and Azam Khan. Lok Sabha Elections 2019 LIVE updates: As the Election Commission suspended four top political leaders for a few days over their campaign speeches that allegedly “contaminated” the poll process, two new speech videos emerged which the Opposition flagged for alleged hateful and abusive content. Delivered on Sunday by BJP chiefs of Himachal Pradesh and Kerala, these speeches triggered complaints to the Election Commission. While Himachal BJP chief Satpal Singh Satti referred to a purported Facebook post to use the word “ma……d” in the context of Rahul Gandhi, his Kerala counterpart made a derogatory reference to Muslims. Meanwhile, JD(S) Chief and former prime minister HD Deve Gowda in an interview to The Indian Express said, "I do not believe Modi will return to power easily. Neither of the two groups will get a clear majority… there will be regrouping after the polls. Mayawati is saying, ‘I am not going with the Congress or BJP’… Mamata Banerjee is also taking a hard decision. In these circumstances, they will all have to be brought together after the polls. If that is done, then the coalition will be a success. On Monday, the Election Commission invoked its extraordinary powers to temporarily ban four political leaders — UP Chief Minister Yogi Adityanath, BSP chief Mayawati, Union Minister Maneka Gandhi and SP leader Azam Khan — from campaigning for their provocative speeches. While Adityanath and Khan were barred for three days (72 hours) starting Tuesday morning, Gandhi and Mayawati cannot campaign for two days (48 hours). 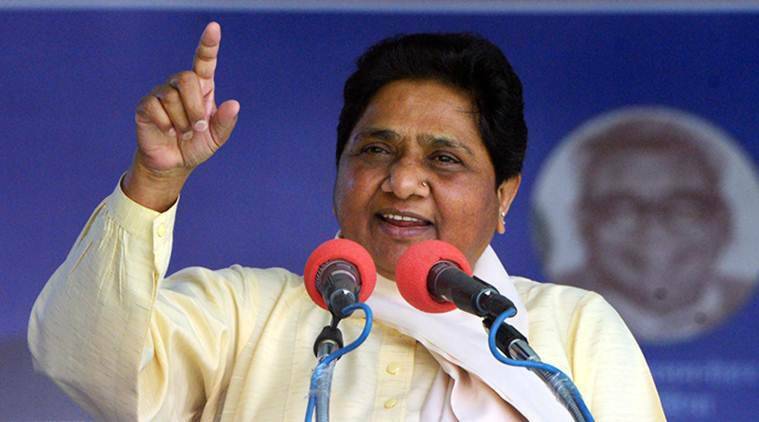 The Supreme Court also turned down BSP leader Mayawati’s appeal against the EC action barring her from campaigning for 2 days and asked her to file an appeal in a court of law. 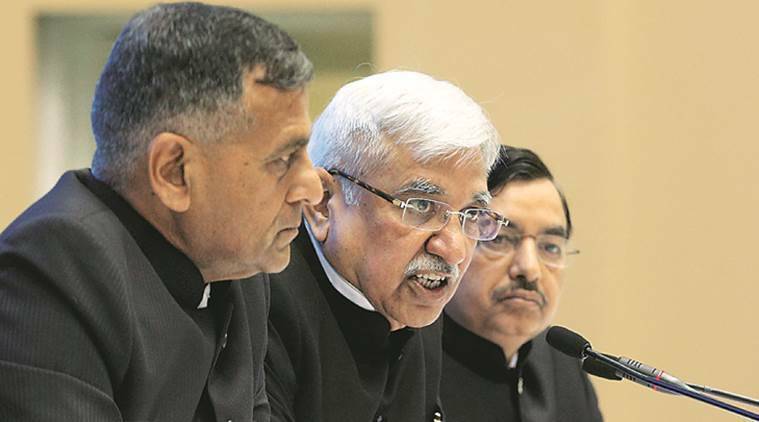 “Seems like the Election Commission has found its powers” observed the Apex Court taking note of the action taken by the poll panel on Monday against leaders for violating Model Code of Conduct.